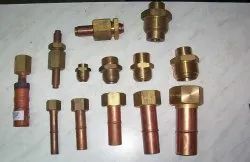 Though It requires lot of Electrical and Electronics Components to build Induction Furnace, Lot of specialise hardware items are required for assembling and maintaining any Induction Furnace. We are deal in all essential & frequently used hardware items. 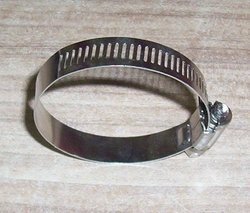 We supply all sizes of Stainless Steel Worm Drive Hose Clamp, which is made keeping in mind the requirements of chemical, steel , food and marine industry at our vendors' end. Our vendors design the offered hose clamp as using advanced tool to ensure their accurate design. More over, they manufacture these hose clamps by making use of high grade raw material to provide non throbbing surfaces on the clamp which protect the hose from damages. We offer our clients with a wide range of SS Heavy Duty Clamp that are offered to meet the international standards. Our SS Heavy Duty Clamp is offered in various widths, thickness, material and surface finishing. These can be customized according to the specifications of our clients. These are available at economical prices in the market. We are engaged in manufacturing and supplying a wide range of solder for our clients based globally. Apart from this, we are also offering customized solutions for our clients as per their specifications in given time. 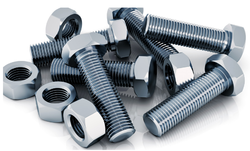 Our diverse range of fasteners offered by us is of premium quality and is fabricated using quality raw material. With the assistance of our designers and experts we are capable to offer customized solutions to our clients as per their specifications within stipulated time. 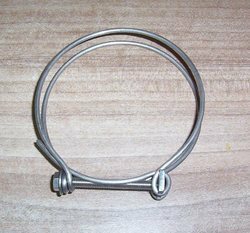 We supply all sizes of Stainless Steel Wire Clamp, which is made keeping in mind the requirements of chemical, steel , food and marine industry at our vendors' end. Our vendors design the offered hose clamp as using advanced tool to ensure their accurate design. Moreover, they manufacture these hose clamps by making use of high grade raw material to provide non throbbing surfaces on the clamp which protect the hose from damages. Silver Brazing rods are used to braze the copper, brass parts. 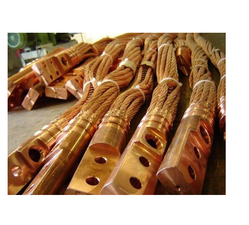 There are several types of brazing rods available in the market. Silver brazing rods contains silver percentage in various ratio. 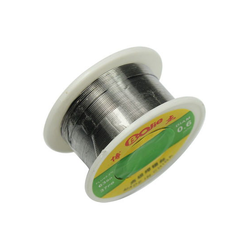 As silver percentage rises the price of rod rises. Lots of copper, Brass and S.S. Items are used to fabricate an Induction furnace. Most of them are tailor made parts made as per furnace specification.